If you are curious about self publishing, then you will find author Tabitha Grace Smith’s article fascinating. She has some excellent advice for authors who are considering self publishing. She also explains why she chose the self-publishing path over traditional publishing, what’s involved, and how she makes it work. I’ve wanted to be a writer since I was 9 years old. I chose my college, my career (I work in social media marketing), and my hobbies because of this passion for writing. Mostly I had a desire to write adult novels, but when my first niece was born I desperately wanted to write kid’s books. Books had a huge impact on me and I wanted to share that with my nieces (who are now 6 and 7). The idea for my first book came from my cats, who seemed to love sitting on the edge of my bathtub, but never wanted to go in. 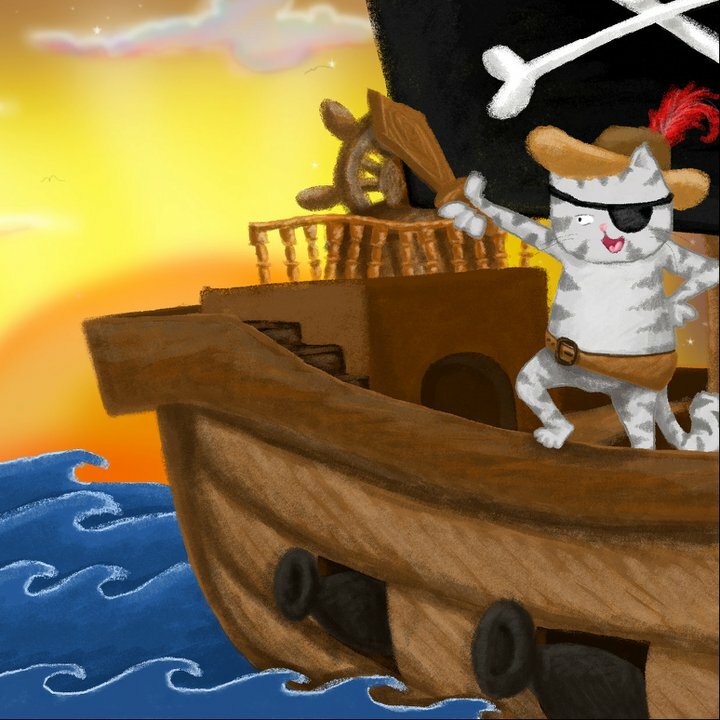 I wrote Jack the Kitten is Very Brave, a book about a cat who loved being a pirate, but was afraid of water. I read a lot about the book publishing industry. From my research I knew that picture books are incredibly hard to break into as a first-time writer. I didn’t want to spend a lot of time trying to get published and miss the years where my book would be perfect for my nieces. That sense of a deadline was a huge deciding factor in self-publishing. Self-publishing has become less of a stigma in the past couple years, but there still is a stigma and anyone who wants to self-publish needs to understand that. I had a lot of questions when I first went about publishing Jack the Kitten is Very Brave and several people immediately assumed that it wouldn’t be a good book if I did it myself. When it came to choosing how to self-publish I did a lot of research. I wanted a POD (Print on Demand) service so I didn’t get stuck with boxes and boxes of books. I also have a lot of friends who live all over the world so I wanted a service where they could order without paying a TON of money. CreateSpace (which is part of Amazon) wound up being the perfect solution. Just a note here: you shouldn’t need to shell out thousands of dollars to a self-print book service. Beware, there are a lot of scams out there. You’ll never make that money back. Design Skills. Thankfully, I have some design skills. My first job was doing graphics and layout. A big part of doing a book yourself is understanding how to format and set up a layout. You’ll need to understand things like pixels, dpi, how to create a multi-page PDF, page bleeds, etc. If you don’t know these things there are a ton of free classes online to get the skills. Another option is to hire someone. Please make sure to pay for the service. Formatting and layout for a book is a lot of work and it takes a good amount of time. Art Skills. I have zero art skills. I can draw some pretty awesome stick figures, but that is not good enough for most picture books (Okay, one of my books I drew myself, but it’s pretty doodle-y). For the artwork I had a dear friend, Mindy Lou Hagan, who I had seen a ton of art from. I loved her style and we worked together on the layout and images. I have to be completely honest here, a lot of the unsuccessful self-published children’s books I’ve seen have terrible artwork. Do yourself a favor and search for a good artist. If you have no artistic talent yourself or you have no artistic friends, search sites like Deviantart.com. Again, pay your artist. It’s a huge pet peeve of mine when artists don’t get paid. Artwork is at least 50% of the selling point of a children’s book. Mindy and I agreed on payment before we started the project. Have that all in writing. Editing Skills. Picture books need as much (if not more) editing as a novel. Have as many people as you can read your book before you publish it. I found out early on that people will catch different things, so multiple editors really helps. Also, try and have at least a couple friends who will be 100% honest with you (i.e. don’t just have your mom read it). Have the editors edit the text, have them edit the text placement, and have them edit the story. Read the story out loud to kids and check their enthusiasm level (if you have no kids, ask a local school librarian if you can come in and read your book). Edit. Edit. Edit. A lot of first-time writers are way too attached to their writing. As a result, they’re not open to edits and changes. Don’t be that person. Listen to what your editors say and take it to heart if they’re right. Marketing Skills. So you have a book. It’s uploaded. Fantastic! No one is going to buy it. This is the huge con for self-publishing. There are no sales without your marketing. Absolutely none. There are thousands of books out there that someone can buy for their child. If they don’t know about your book, they will not buy it. You’re going to need to sharpen your marketing skills. Learn how to use social media (Facebook, Twitter, etc.) effectively, learn how to publicize without being spammy (check the authors that you love and see how they do it), offer a print copy of your book to some bloggers (check to see how much interaction they have on their blog), pitch yourself to local schools and offer a free author visit, ask folks for help to get the word out, and find places you can sell your book (local fairs, garage sales, charity events, etc.). Cross-promotion with other blogs and authors is your big friend here. I think 90% of the time people usually buy self-published books because they love the author. There are a couple other things you need to learn like self-employment taxes, keeping track of expenses, etc. Find a tax accountant who can help you with that if you start making some good money off your book. Another option for publishing and getting the funds you need to publish is crowdfunding. 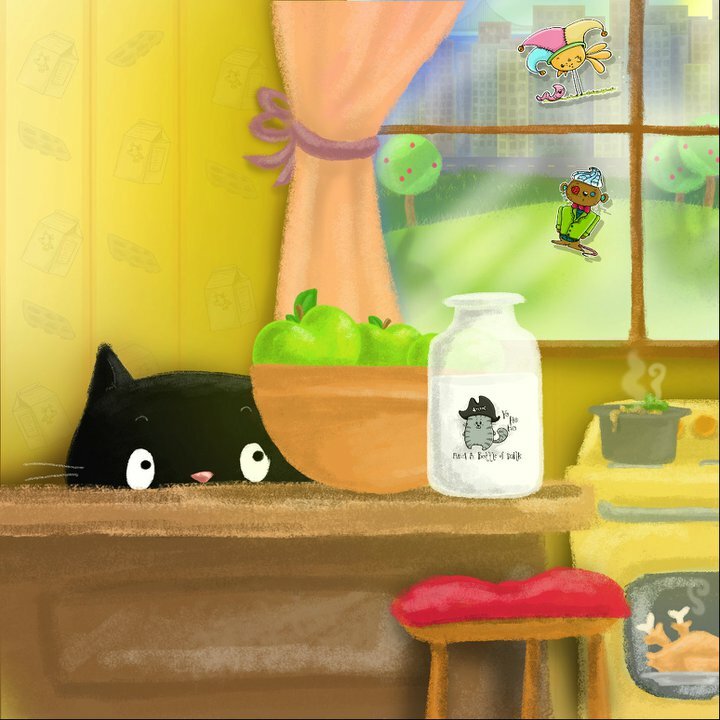 My latest book, Jack the Kitten is Very Sleepy, I am funding through Kickstarter. This is a great way to get fans in on helping make the book and pay for the artwork. If you’d like to check it out, it’s here: bit.ly/SleepyJack. 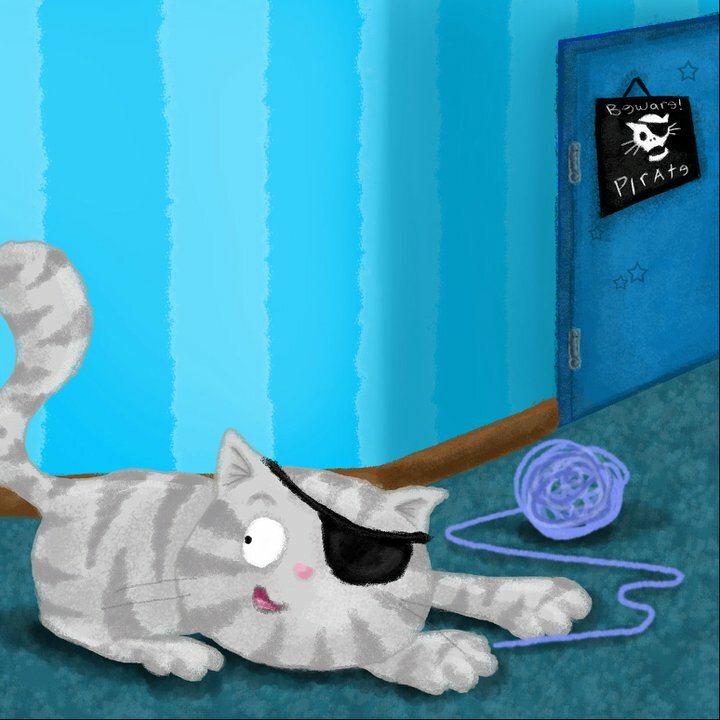 If you like pirates and cats, it may be the perfect book for you! Kickstarter is a huge commitment; I often tell people it’s like a full-time job. So if you’re thinking about crowdfunding, I really suggest backing a couple projects first to see what works and what doesn’t. I’ve been very happy with how well my books have done so far. I’m no Stephen King of picture books, but I’ve sold a good amount. Copies of my books are all over the world. I get awesome letters from kids who have read my books. Best of all, my nieces love my books and I get to read them to them whenever I visit. School visits are probably my favorite. Once, I was walking the hall of one school as the kids were going home, one of the little first graders got all excited when she saw me and waved like mad and said, “Hi, Author!”. It was a really fun feeling. My big take away from the whole experience is that self-publishing and doing it well is a lot of work, but it’s a ton of fun too. Don’t be afraid to ask for help and give help to others whenever you can. Another thing that really helped me was giving my book away. A lot. Ultimately, I wanted kids to read it, not to become rich. One time I was at a car wash fundraiser and I saw a very sad little boy. I happened to have copies of my book in my bag and I gave him one. His face lit up like it was Christmas. That was well worth buying the book myself and giving it away. After all, what good is a book if no one reads it? Tabitha Grace Smith is a professional geek, blogger, writer, web designer, podcaster, social media expert, and strategist. She holds a B.A. in Communications from Moody Bible Institute and an M.A. and M.F.A. in Creative Writing from Wilkes University. 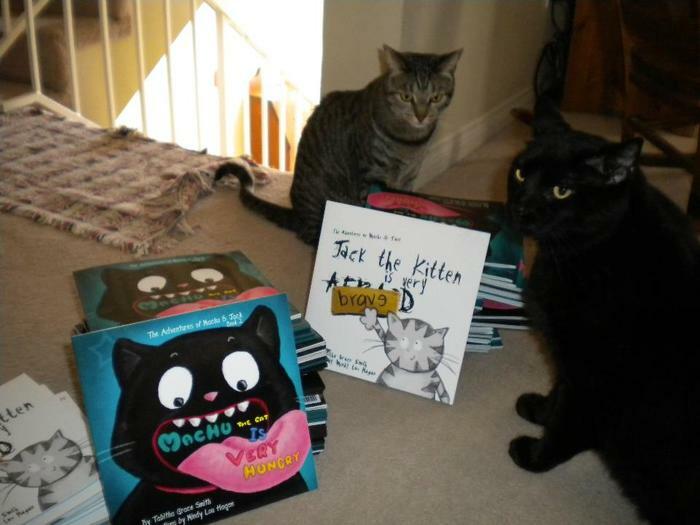 She’s written five children’s books including, Jack the Kitten is Very Brave and Machu the Cat is Very Hungry, which were based on her real life cats. You can find them on Amazon or over at MachuandJack.com. She also wrote a book for reluctant readers called Mary Lou Wants to Be a Big Star and a book about dealing with bullies called Everyone’s Mean, Except When They’re Not. Both are available on Amazon. 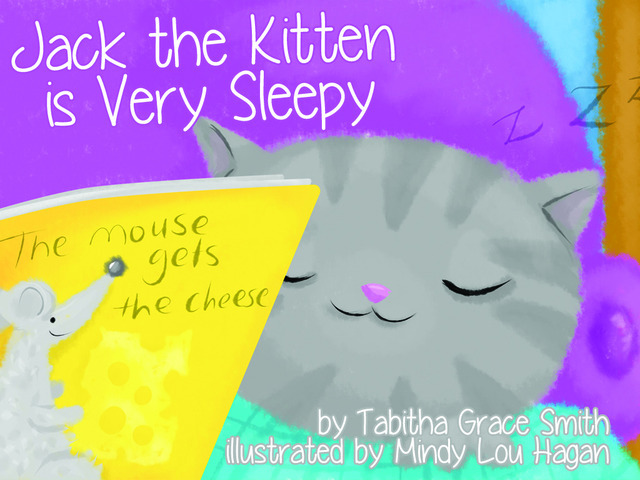 Her latest book, Jack the Kitten is Very Sleepy is currently being funded through a Kickstarter campaign. Find her on Goodreads or online at tabithagracesmith.com. Tabitha, Many thanks for posting this, and for your extremely helpful pointers. Congratulations and much success with your books. The illustrations are adorable! Thanks so much for this, Tabitha! I’m about to self-publish my third. This advice will come in useful. Congrats! That’s wonderful, Catherine! I’m checking out your blog now!